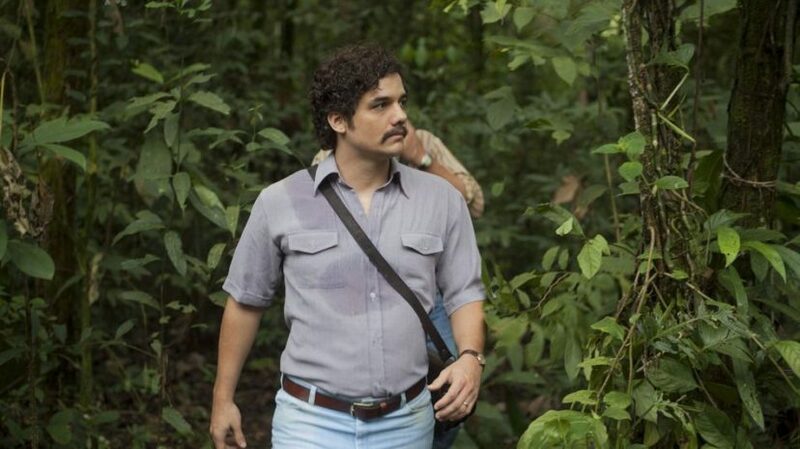 Pablo Escobar’s son has warned Netflix to be ‘careful’, following death of Narcos crew member, Carlos Muñoz Portal. The 37-year-old location scout was found shot dead in his car, while scouting locations in rural Mexico. Little else regarding the circumstances of his death has been made clear, except to say his body was ‘riddled with bullets’ while he was hunting out areas to film season four of the Netflix drama Narcos. 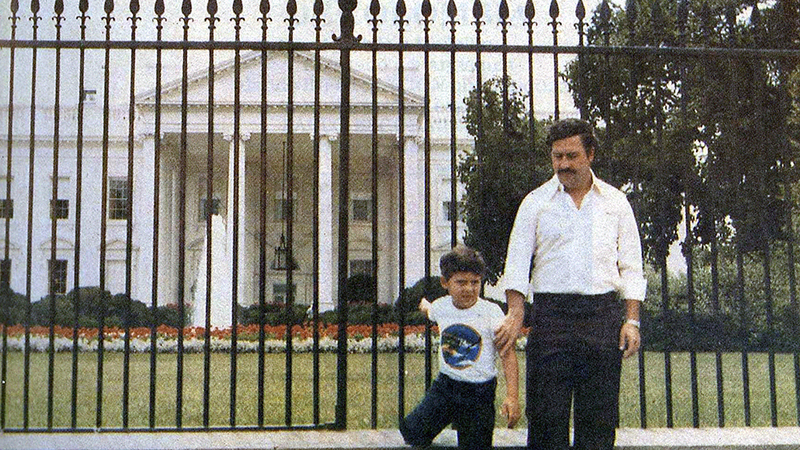 The series follows the life of Pablo Escobar, whose son Sebastian Marroquin has since warned Narcos could ’cause real life conflicts’. In the past, Marroquin has criticised the accuracy of Narcos – pointing out 28 historical errors and condemning the story-telling as ‘insulting’. Now, the so-called Cocaine King’s son (pictured below with his father) has again warned the show’s producers that they need to be more ‘careful’ with the way they tell their stories, suggesting that inaccuracies can lead to problems. The drug dealers in Cali are watching Narcos and they don’t like it. They don’t like their names and their cities being used to tell things that aren’t true. By telling the story wrong, it can lead to conflicts in real life. Netflix should be more responsible. Nothing has changed except the names. Now there’s even more drug-trafficking and corruption. As for what happened to the Netflix guy, I don’t know too much and I don’t trust what I read in the news. But unfortunately, Mexico is a very violent place. If I went to Africa to film lions, I wouldn’t be surprised if one killed me. 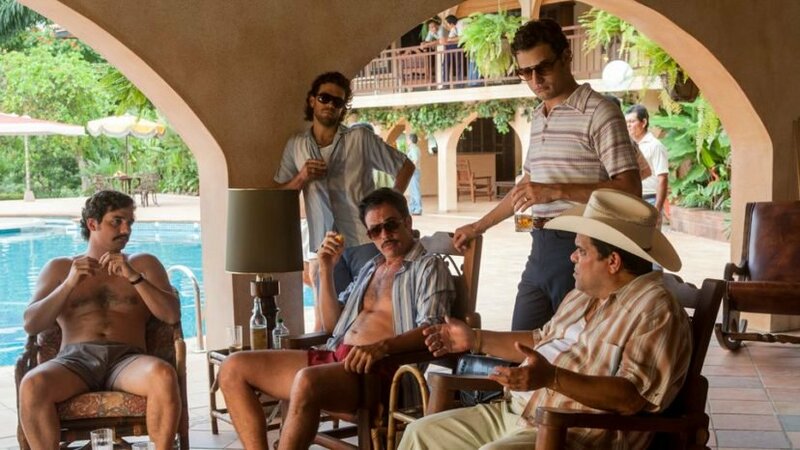 Pablo Escobar’s brother, 71-year-old Roberto De Jesus Escobar Gaviria, has echoed his nephew’s feeling and issued a statement to Netflix suggesting they hire hitmen for security during filming. 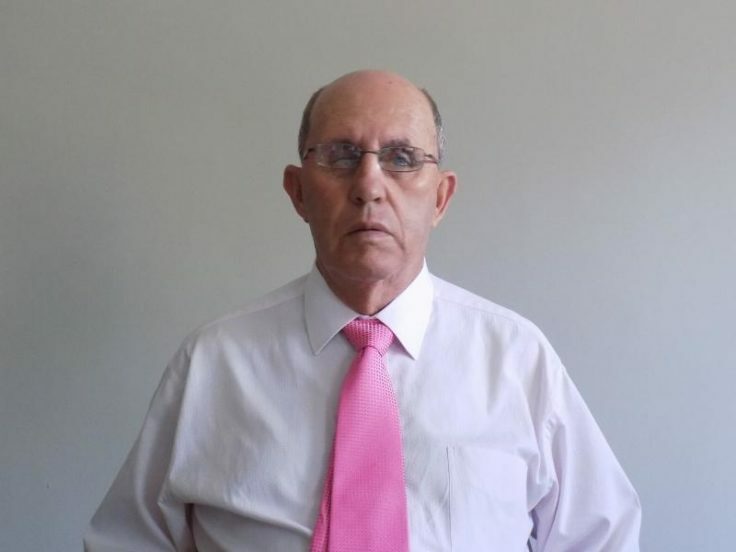 Throughout Pablo’s reign in Colombia, Roberto was chief accountant and right-hand man for the cartel, known as ‘chief of the hitmen‘. You have to eliminate all threats. When I was walking in the jungle one day, I had a bag with $2 million in $100 bills. The army was searching for me and Pablo at this time. Suddenly, we are being shot at. Both me and Pablo, along with a few security people, start running towards a small channel of water, we swim away. This was all done without guns. If you have the intellect, you don’t need to use weapons. If not, you have to. In this case, Netflix should provide hitmen to their people as security. He is also currently locked in an ongoing legal battle with the streaming giant over the use of his family name under American law, slamming Netflix for it’s ‘misrepresentation’ of the facts of the Medellin Cartel. 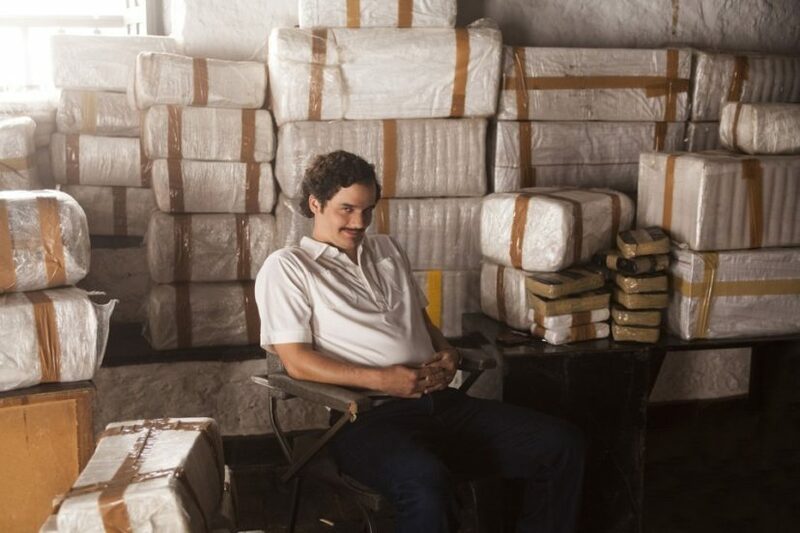 Roberto called for $1 billion for the rights to use his family and the term ‘narcos’ in the show, which he claims was documented on a website in 1986. The claim is being disputed by Netflix on the grounds that the internet ‘barely existed back then’. Meanwhile, Portal’s death serves as a chilling and tragic reminder that the violent drugs cartel underbelly Netflix serves up to you on your sofa as entertainment is a very real and ongoing problem. Our thoughts are with Portal’s family.